Is there a charge when I attend the Urgent Care Centre? Yes there is if a doctor from the Ararat Medical Centre is required to attend. The Health Service does not charge patients when attending the Urgent Care Centre, but if a Doctor from the Ararat Medical Centre is required to attend, there will be a charge from the Medical Centre. This is because we do not have a doctor on staff. What are the visiting hours of the Inpatient Unit? Visiting hours are 9.00 am to 12 noon and 2.00 pm to 8.00 pm. The patient rest time is from 12 noon to 2.00 pm. How do I go about providing feedback? Compliments or Concerns forms are located in all areas of the Health Service. When completed they can be returned using a ‘reply paid envelope’ or handed to a member of staff. You may also provide feedback on our website www.eghs.net.au or contact the Executive Assistant to the CEO directly on 5352 9303. How do I make an appointment with the Dentist and do I need a Health Care Card? To make an appointment with the dentist you can call the Community Heath Centre on 5352 9327 or come in to see our receptionist. All adults need a concession or health care card to attend our public dental service. Children 1-12 years of age are all eligible and 13-18 year olds must have a health care card OR be receiving Family Tax Benefit part A (to be eligible for Commonwealth Dental Benefits Schedule). How do I arrange a visit from District Nurses? The Community Nursing department offers a range of different services and programs designed to support and assist people. Visits can be arranged by calling the office on 5352 9328. Can I see the Physiotherapist without a referral from my doctor? Yes, you can self-refer to the physiotherapist. Please call the Community Health Centre for an appointment. Appointments will be made according to prioritised need. How do I get an operation at East Grampians Health Service? Please speak to your Doctor who can refer you to the specialist who has an appointment at the Health Service. If I need an X-ray or other Medical Imaging study done while in the Urgent Care Centre will there be an out-of-pocket expense? Yes, if you do not possess a pension card, healthcare card or Veteran Affairs card. Work related injuries are covered by WorkCover. Traffic Accident related injuries are covered by TAC. Do I need an appointment to have an X-ray or other Medical Imaging study? Yes, but there are exceptions. The Medical Imaging Department will always endeavor to accommodate people if time allows and will prioritise cases deemed urgent. Therefore these cases may not need an appointment. Does East Grampians Health Service provide 3D/4D obstetric ultrasound imaging? Yes. The same rate of billing applies for these scans as does for other studies, but if there is no medical reason for the scan then the patient will incur a full charge as Medicare will not cover this. The best time for this scan is at around 30-34 weeks gestation. 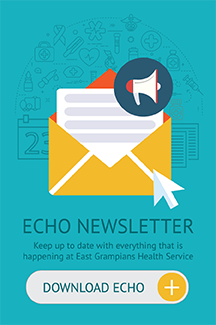 Does East Grampians Health Service have a CT scanner? Yes. We have Toshiba’s latest 32 slice CT scanner offering scans at a very low X-ray dose. The machine was installed in May 2014.